Inspiration can be found in unexpected places. Personally, I think I have some of my best ideas in whilst out running. I once heard that Richard Branson finds inspiration whilst taking a bath containing the secret ingredient of Badedas “Horse Chestnut” bubble bath. Unfortunately, if we were to go for a quick jog or worse still, undress and take a bubble bath at the office, our colleagues might be a little shocked! Besides which, we might like to take a more structured approach towards idea generation which we could incorporate with the rest of our team. One approach we can use is called a mind-map. This is a fun process and works particularly well with teams. Get out a large sheet of paper (A4 will do) and some pens. At the centre write your inspiration word or words. From this central “thought point” you write down your ideas and connect them to the centre point with a line. You then write-down subsequent ideas, which stem from your previous idea. Your diagram grows organically with each new idea out from the centre. Pictured below is a hand-drawn mind-map. I drew this to structure my thoughts around my successes in my last job. I used “Achievements” as my starting point. Working with pen and paper is fine, but not so great when presenting to the board or for a report. 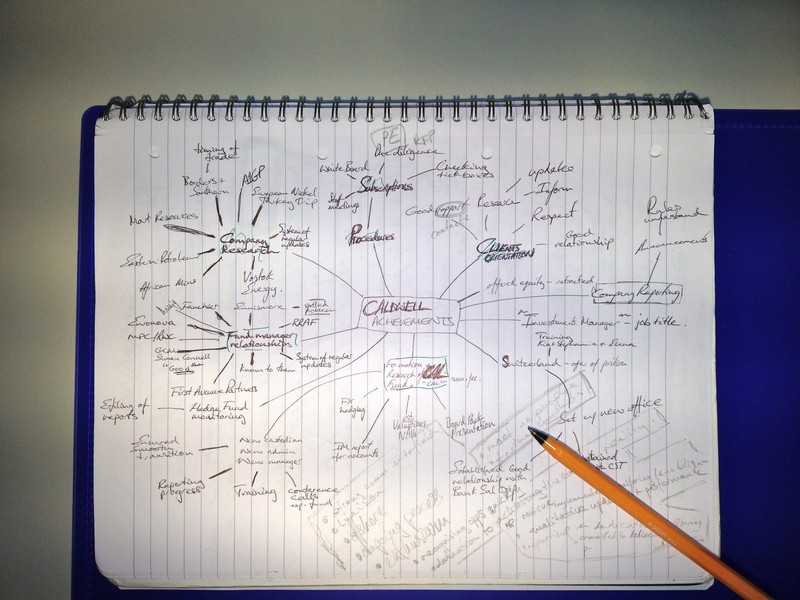 The mind-map at the start of the article is an updated version written using the Mindomo software. It’s free and easy to use. Give it a go. 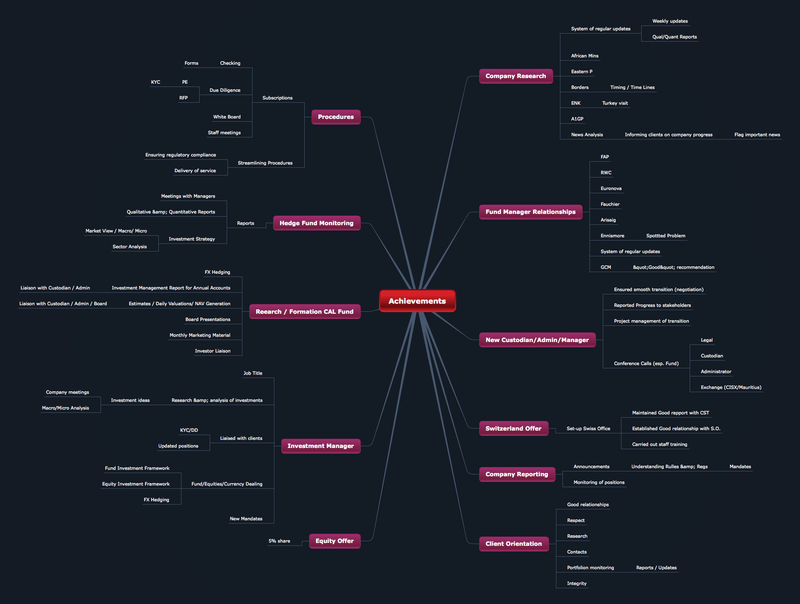 In conclusion, Mind-maps are a visual way of mapping your thoughts and also a neat way of presenting a holistic view of a given topic.